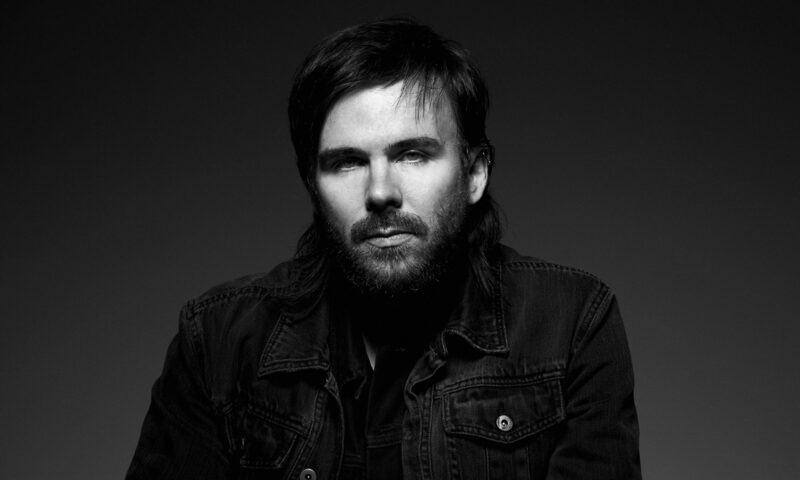 In light of Mark Hollis’ sad departure, Toby Driver of Kayo Dot/maudlin Of The Well discusses “New Grass” and how some of Talk Talk’s musical sensibilities made it into his material. A gentle but gigantic figure in the art/metal underground, Toby Driver isn’t necessarily the most enthusiastically media-friendly artist. But in a recent, but lesser-seen moment of candidness, Driver gives us a short run-through of how Talk Talk influenced songs of his own. The song in question is “New Grass”, a celestially guided improvisation from Talk Talk’s final album Laughing Stock. And of course, it’s no real mystery why this song appeals to Driver. From the ambiance-setting organ to the almost-speaking guitar riff, working those ‘seconds’ Toby references in the video – it’s a melodic breeze in music form, carried on the wind by soft ride work on the cymbals. Mark Hollis’ voice here (as always) is fragile and almost cracking, emotion-drentched and mournful/joyous (depending on your mood that day), always seemingly making appeal to a higher power or force. Driver runs us through his connection to the song, and lays out in compositional terms why the song connects with his sensibilities. As a guitar player, the level of discussion here is quite informative and interesting. And just as a fan of Driver, learning how his vast palette of sounds is formed is intriguing. This is of course someone who trained under Yusef Lateef in his younger days, and most of his output I would say is, in a word, inspired, and almost in a way filled with millennia of experience from past lives. In his teens, he dabbled with some astral projection as a creative outlet, but claims nowdays to be more rooted in the real world, and that he simply gets into a “trance-like” state when he’s writing. It’s certainly hypnotic, to his credit. To continue, he compares the motifs in New Grass to his own song “Smoke-Scented Mycelium” – and it starts to make sense of it all – gently plucking the chords to demonstrate their commonalities. In fact, there’s a lot in common between the two of these artists. Hollis was known for being a perfunctory perfectionist, especially during the recording for Laughing Stock. And Toby seems to be too. For many of his casual listeners, his music, especially coming in from a rock-orientated background, could mistake the diverse instrumentation and experimental song structures for “jazz-like” inclinations. He rails against this misscasting on occasion, and it’s not hard to see why. Because almost every note, every flourish, every passage, interlude, bar and phrase is expertly crafted, and intentionally executed for effect. With jazz, it’s all about the notes you don’t hear. With Toby, it’s about what he wants you to hear. Calling it jazz is like pretending he wrote music by accident, rather than purposefully. He’s deliberate, and so was Hollis. Just ask the guest musicians who had to work under him. Toby, fortunately, evades such mal-social descriptions as attributed to Mark. Clocking in at around 7 minutes, the video is relatively shortish and is worth a watch to hear from the man himself. As for recommendations for Driver’s music, make sure you check out his latest solo release “They Are The Shield”, maudlin Of The Well’s “Bath” and “Part The Second” for mystical progressive metal (he’s definitely rolling his eyes at that right now), and especially “Choirs of The Eye” and “Plastic House On Base of Sky” by Kayo Dot, his chamber-art-now-synth-art group (sorry, Toby) on the more serious side.